Denver is famous for its views of the soaring Rocky Mountains and frequent sunshine, but it’s also becoming an increasingly popular spot for those who appreciate good food and drink. 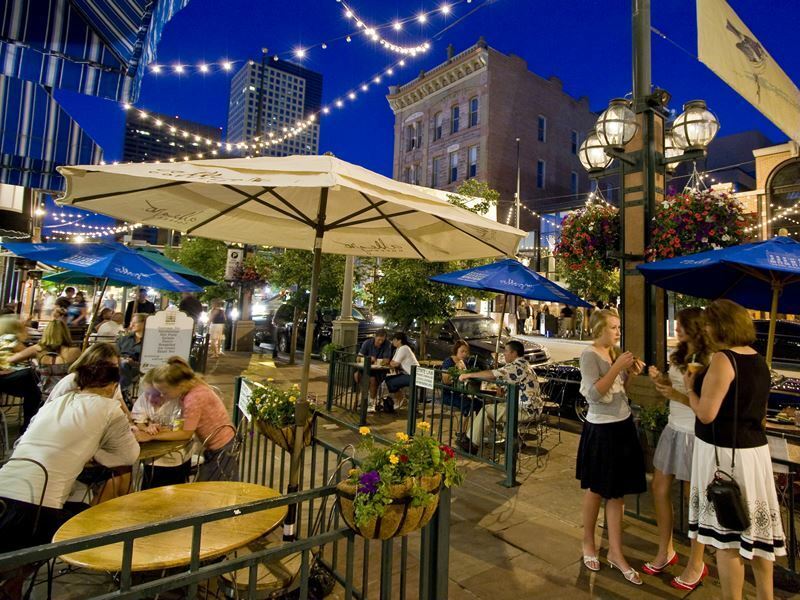 From fine dining eateries, casual cafes and beer-centric restaurants to food trucks, farmers markets, wine bars, cocktail lounges, taverns and just about everything in between, you’ll be spoiled for choice in the Mile High City. No matter what you’re craving, you can find it in Denver, with a diverse dining scene that offers everything from an abundance of New American fare to local and regional cuisine as well as plenty of international offerings. For unique dining and entertainment experience in a fabulous historic atmosphere, Ophelia’s Electric Soapbox is a bordello turned “gastro-brothel” that combines globally-inspired dishes that feature local, organic ingredients with throwback peep shows and live music. It sits within the historic Victorian Airedale building, capturing the spirit of its predecessor with risqué décor like framed soft-core film posters and vintage boudoir photos. There are an abundance of interesting details such as the black velvet paintings and old crushed velour ottoman. It was designed to satisfy discerning palates while raising eyebrows at the same time. 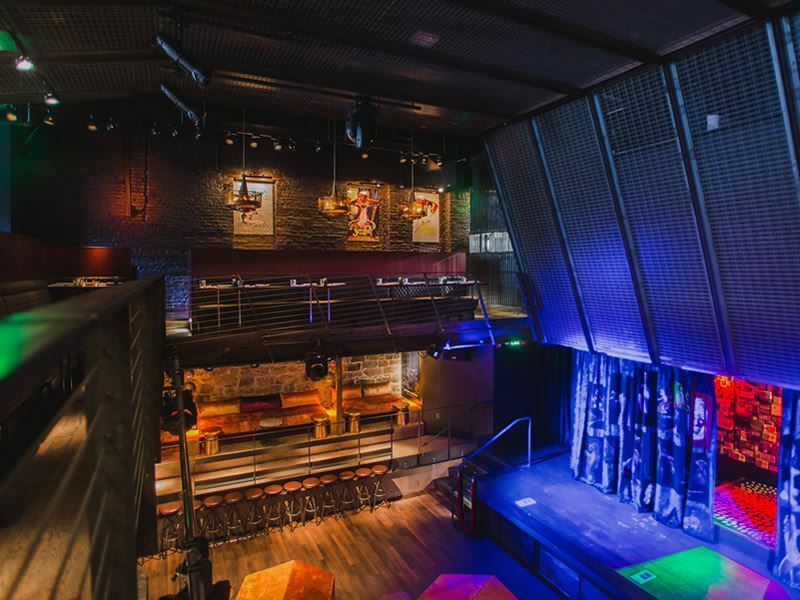 While it’s easy to forget this isn’t just an entertainment venue, the menu truly is just as seductive as the space. Very diverse, you’ll find everything from Asian, Greek and French, to Coloradoan and American cuisine, along with an impressive beverage lineup that mirrors the diversity of the food menu with both local and international options, including creative cocktails and an extensive wine list. In the mood for a margarita and some of the best Mexican food around? It’s time to go to the Lola Mexican Fish House which boasts fresh table-side guacamole and a menu with dishes inspired by Mexico’s coastal regions. Think lobster tamales, blackened ahi tacos, barbecued octopus and oysters on the half-shell. Its bar is stocked with more than 200 different tequilas, so you can order a margarita with just about any kind your heart desires. Izakaya Den, a Japanese gastropub offers some of the freshest seafood in Denver. 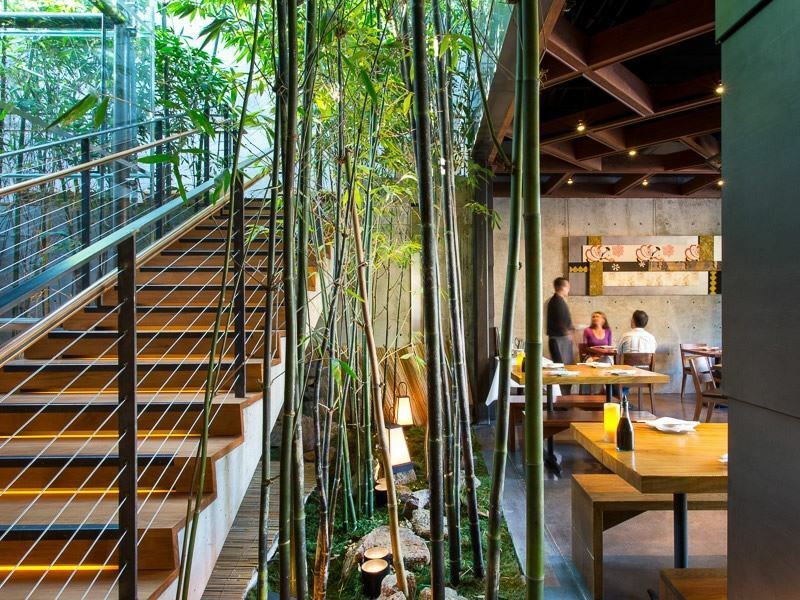 It features an extensive sushi menu with daily fish shipments from the fish markets in southern Japan, as well as ramen, traditional udon and a selection of Asian-fusion small plates, along with a good range of vegan choices. Be sure to try the tempura banana dessert. Want to take advantage of those nearly always present brilliant blue skies? 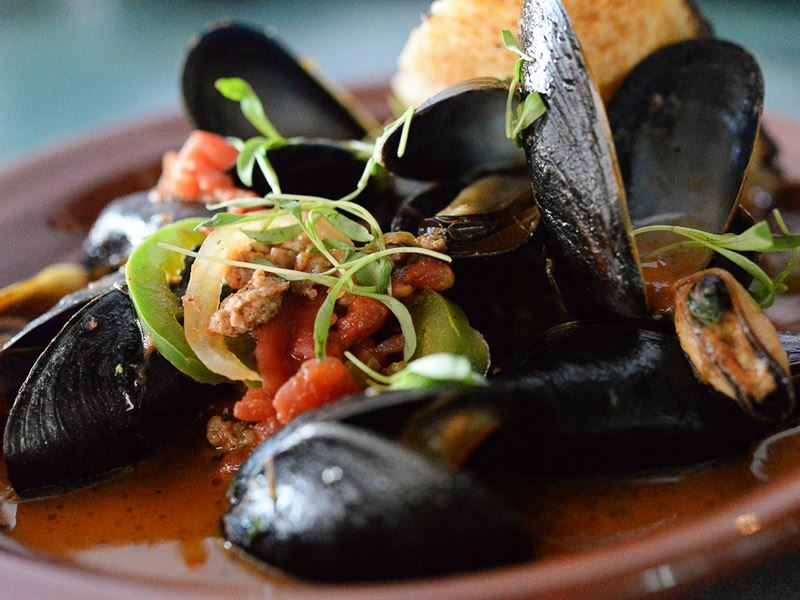 Try one of the city’s outdoor dining options, like El Five, which boasts an amazing rooftop patio where you can dine on tasty Mediterranean tapas while soaking up some of the best views around. Avanti Food & Beverage, located in a former printing plant, hosts a rooftop deck for with awe-inspiring city skyline views and a menu that includes everything from Vietnamese rice noodle bowls to Venezuelan arepas. Postino has a rooftop patio that takes full advantage of the skyline and Rocky Mountains from its edgy building that was once the BookBinding Co. It serves a wine-centric menu with excellent bruschettas, panininis, soups, salads and more. There are numerous options for fine dining throughout the city like Il Posto, owned by Milan-born chef Andrea Frizzi, which recently moved into a new home in the River North Arts District known as RiNo. This Italian hotspot is renowned for its top-notch daily-changing menu that features everything from pappardelle with pork ragu to the mouth-watering beef tallow candle, pastas tossed with seasonal ingredients, masterful risottos and beautiful fish dishes. 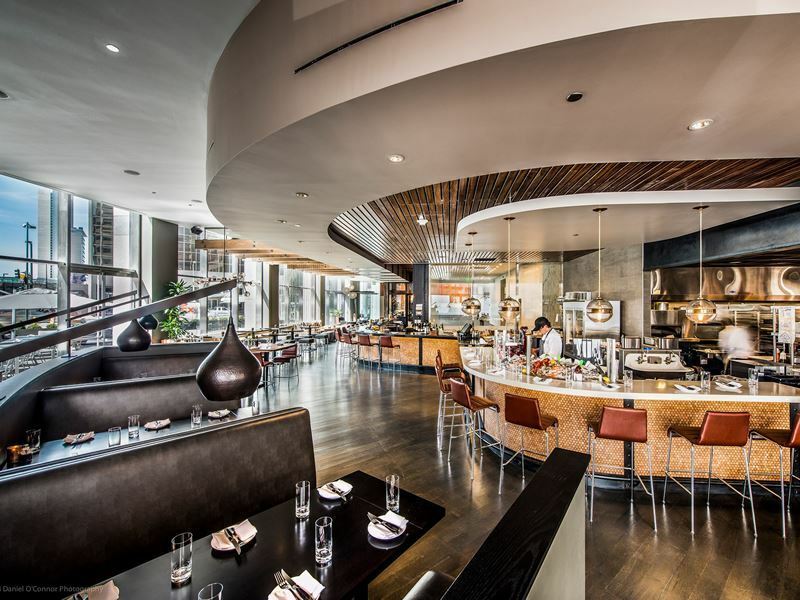 Wine flows freely from the expertly curated list – and, you’ll have the chance to dine at one of Denver’s very best tables, which sits on the second level in the corner, overlooking the city skyline. The Palace Arms at Brown Palace, Denver’s landmark hotel, sets the standard for fine dining in Denver. The award-winning restaurant, with honours like the Best of Award of Excellence from Wine Spectator Magazine, features signature dishes like the bison tenderloin and lamb loin with mint yoghurt and lemon-black pepper jus, along with an extensive wine list that includes nearly 1,000 selections. Rioja is a Larimer Square staple with a Mediterranean-inspired menu featuring fresh, local ingredients that’s led by Jennifer Jasinkski, a James Beard award-winning chef. Opened to critical acclaim in 2004, it’s frequently been ranked among the city’s top restaurants ever since. Enjoy outstanding wine pairings alongside appetisers like the highly recommended “fresh bacon,” a pork belly, curried garbanzo bean puree and cardamom dish followed by the artichoke tortellini and one of the delectable chocolate desserts. Colt & Gray is a sleek, rustic eatery on Platte Street serving up a range of rather eccentric items like beef tongue and duck balls, along with standards such as the popular and perfectly prepared dry-aged steaks. 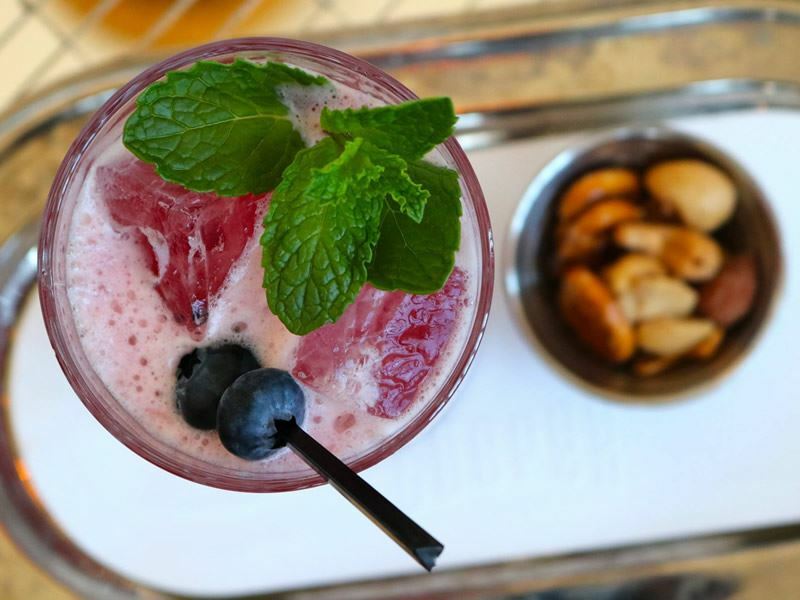 Despite the white linen, it’s not overly pretentious, with a warm, welcoming atmosphere and fantastic cocktails to boot. These are just a few of Denver’s best fine dining restaurants – you’d probably need at least a month or two to sample them all. Denver also boasts bars of all types to suit just about every taste, including a wealth of trendy cocktail lounges. The Cooper Lounge, which sits on the mezzanine of Union Station, overlooks the Great Hall, evoking the glamour of the 1930's post-prohibition lounges. Enjoy elegant cocktails or a glass of vino from its extensive wine list while taking in picturesque views of downtown through the large, arched windows. When its martini time, head to Uptown’s Avenue Grill, renowned for its martini menu that includes house-style, with your choice of gin or vodka, an olive or a twist, up; 1950's-style, with vodka or gin served in a dry vermouth washed glass, stirred, up with a twist. 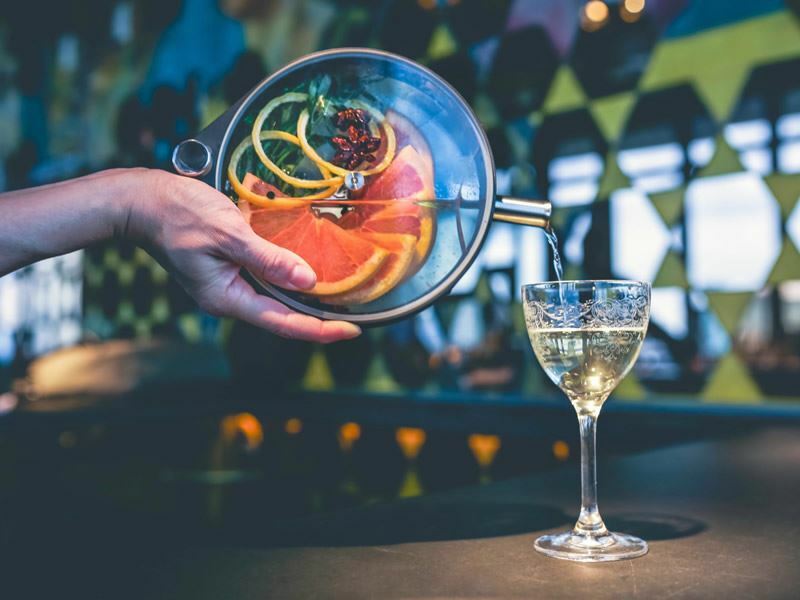 There’s also the style served prior to prohibition, which includes equal parts of dry vermouth and gin, stirred, up with a twist, along with a splash of orange bitters. Green Russell is a beautiful space that sits in a subterranean spot in Larimer Square. Sip handcrafted cocktails in a plush red swivel chair at the bar, or sit back and relax in one of the intimate nooks with comfy arm chairs. Williams & Graham is a spectacular speakeasy that was transformed from what was once a ramshackle flophouse. Dating back to 1906, it has an actual bookstore entrance with works for sale, including drunken authors like Hemingway and a host of cocktail books, along with a big wooden bar and a menu with simple yet elegant cocktails splashed with the profiles of spirits and a variety of anecdotes. 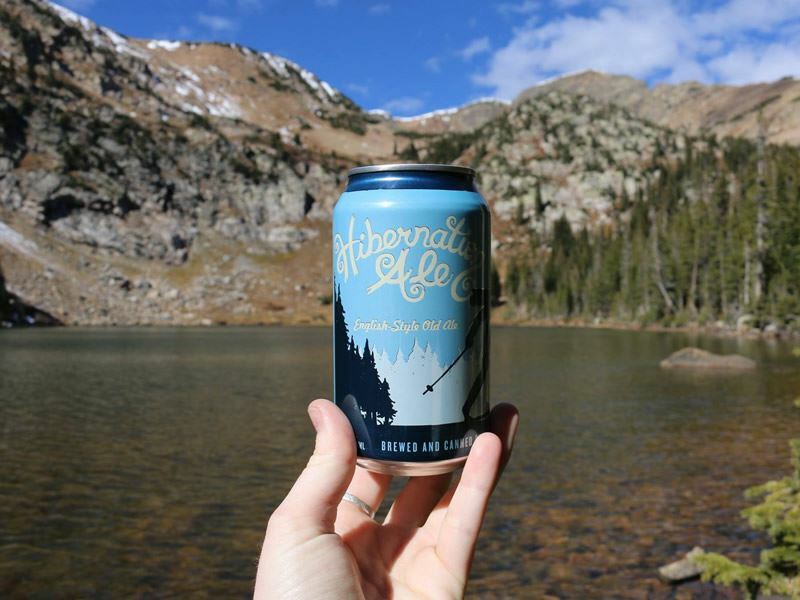 Denver is a famous brew town, with a host of offerings for brew lovers in pubs, taverns breweries and more. Hang out at the massive outdoor patio at either Illegal Pete’s, one on Colfax and the other on South Broadway, and enjoy a huge selection of brews on tap as well as a wide range of bottled beers, or get your dog fix by visiting Denver Beer Co. One of the first community beer gardens that opened in the city, it has a patio for enjoying all sorts of fine brews, and is also a hotspot for those who want to bring their four-legged friends. Great Divide Brewing Co is an internationally-acclaimed craft brewery, with 18 Great American Beer Festival medals and five World Cup Beer awards. Its downtown Denver bar offers 16 taps of seasonal and year-round beers, that source high quality, local ingredients whenever possible. Some of Denver’s best food trucks are often parked nearby when you’re looking to feed that appetite too. The Irish Snug on Capitol Hill is one of the best spots for a perfectly-poured Guinness, as well as boasting a menu with Irish favourites like shepherd’s pie, fish ‘n’ chips and corned beef and cabbage. It’s also known for its entertainment, offered seven days a week, including live music. While you might be surprised to find a vineyard in the city, there are several. Balistreri Vineyard is just minutes from downtown and has been producing wine “the old fashioned way,” since 1988, with all of its wine handcrafted a barrel at a time, minus any clearing agents, filtering agents or sulfites. All wines are made from 98 percent Colorado grapes, with some grown right onsite – and, they can be enjoyed along with Italian gourmet fare, including seasonally inspired small plates. Bigsby’s Folly Craft Winery is in the RiNo neighbourhood, featuring a full-scale winery and a tasting room where you can sample red, rose and whites made from California, Oregon and Colorado grapes, along with tasty food pairings. Mile High Winery is downtown and makes its handcrafted red and white wines onsite. 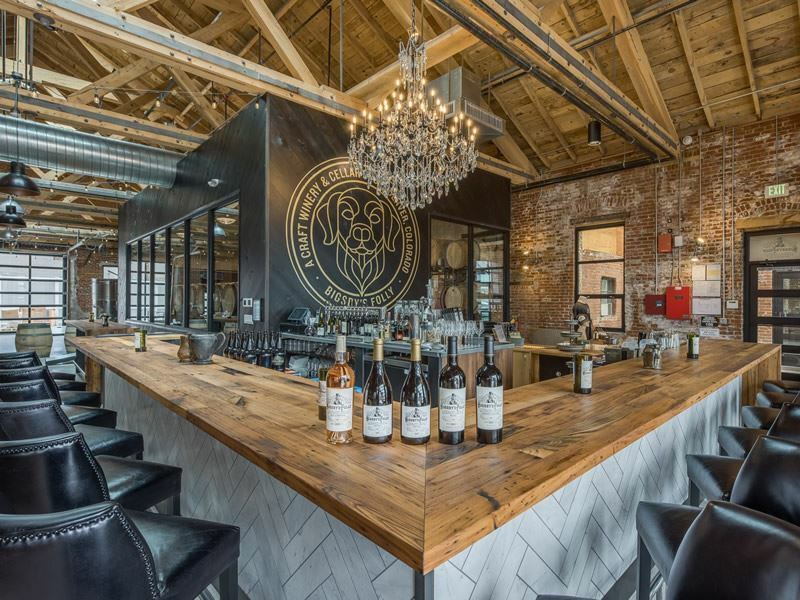 Its tasting room reflects its setting in the River North Art District (RiNo) and is a great place for tastings as well as picking up a bottle for a picnic. 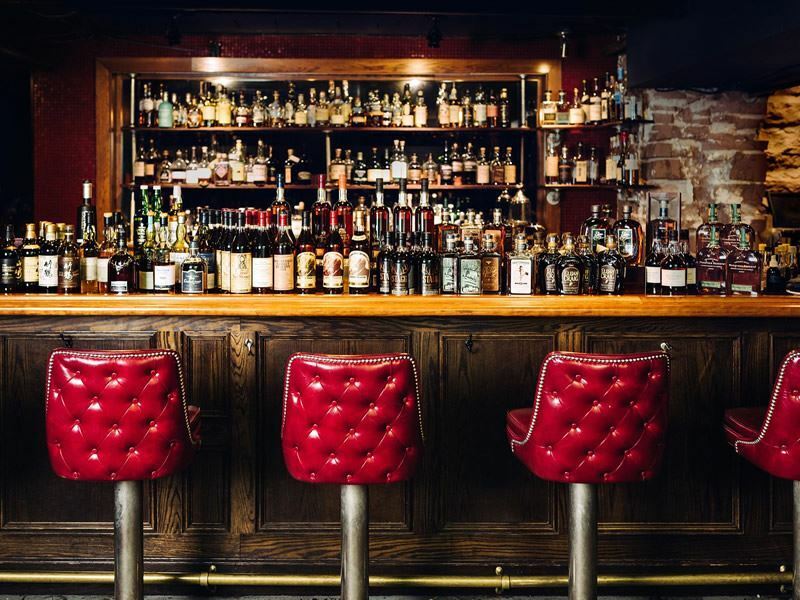 Cana Wine Bar is a South Denver favourite, situated in an old home, complete with sofas, armchairs and fireplaces. Curl up on a couch next to a roaring fire with a fabulous glass of red or white, and you may never want to leave. Happy hour deals like half-price glasses make it even more appealing. 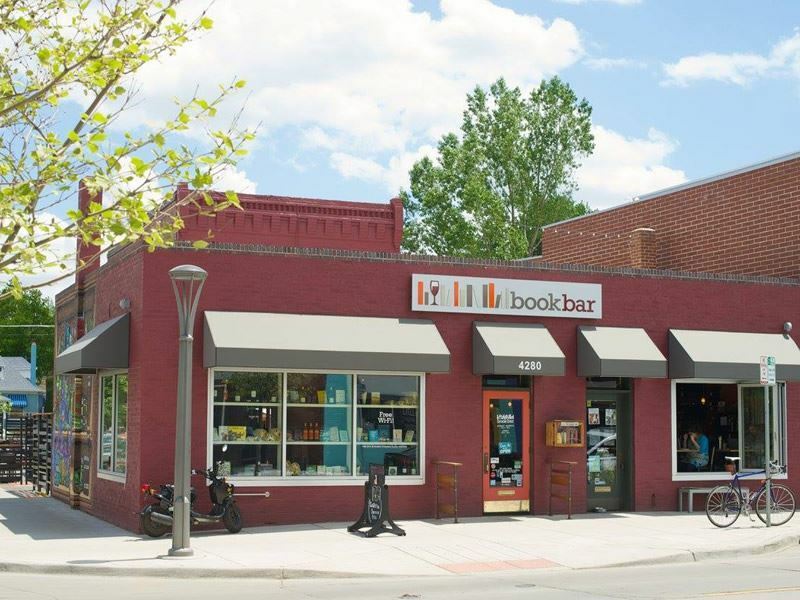 The BookBar is a dream come true for lovers of wine and books, with an impressive curation of books, fabulous wines from around the world and a full menu featuring locally-sourced foods, including small bites and desserts. Farmers’ markets are a great place to sample outstanding local and regional foods, and Denver is home to a wealth of them. The Union Station Farmers’ Market is one of the most popular, and a picturesque sight on a sunny Saturday from early June through late October, with a wide range of farm-fresh produce, meat and dairy, baked goods and much more. 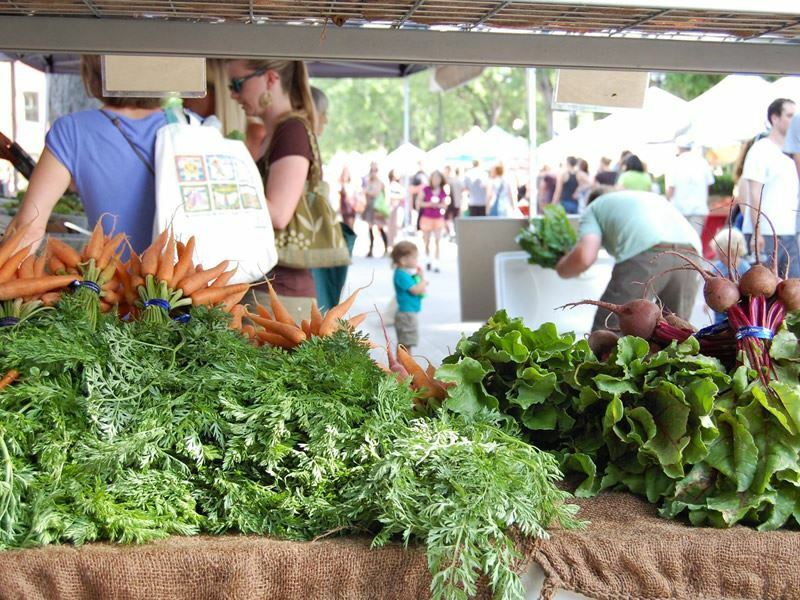 The largest farmers’ market in Denver is the award-winning Cherry Creek Fresh Market, open Saturdays from early May through late October, and Wednesday from mid-June through the end of September. It features Colorado growers and unique local gourmet foods, chef events, live music and more. Other options include the City Park Esplanade Fresh Park, open Sundays from June through October, the Farmers’ Market at Highlands Square from mid-June through September on Sundays, and the Stapleton Fresh Market, open on Sundays between mid-June and mid-October.